do you color reality? (daily hot! quote) – AmyJalapeño! 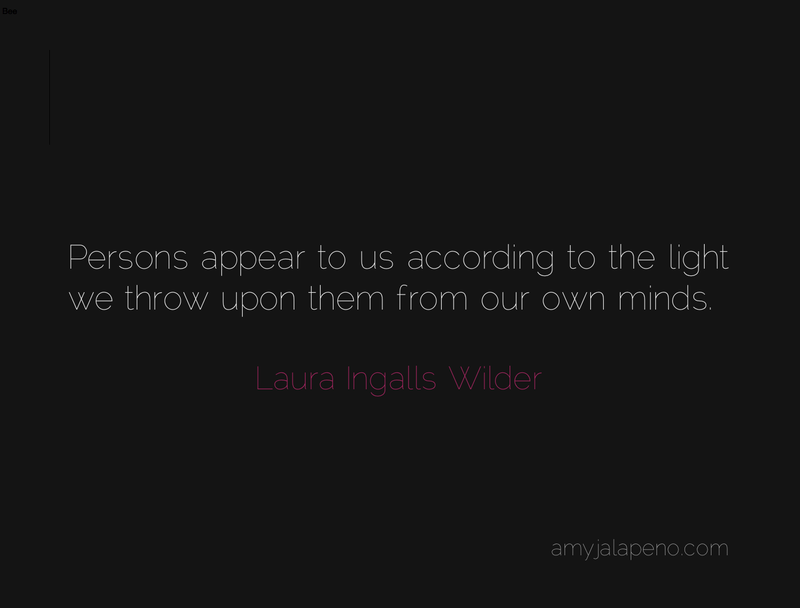 When I started “amyjalapeno.com” I would post quotes of others mingled with my own musings. About a year and a half in, I decided to challenge myself with the daily hot! quote by seeing how far I could go down the rabbit hole on my own. Alas, I have been able to come up with anything as brilliant as this. It beautifully sums up how much we taint reality and the lives of others when our fear and imagination fills in the gaps. This quote is the ultimate reality check and I absolutely love it. Your perception of every single person you encounter is entirely colored by your primary thoughts and feelings.